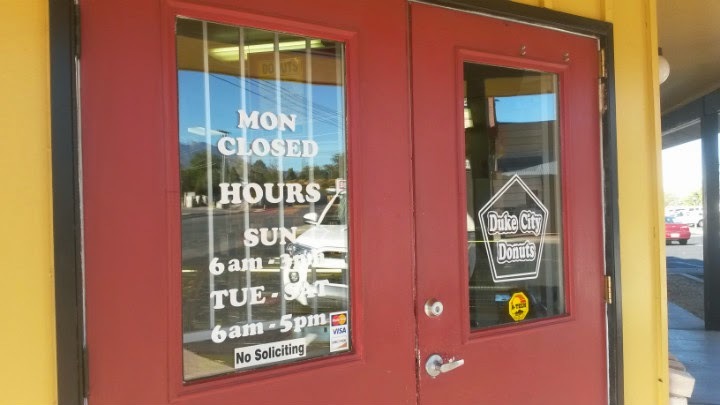 Duke City Donuts is located on Eubank Blvd NE in Albuquerque, NM. 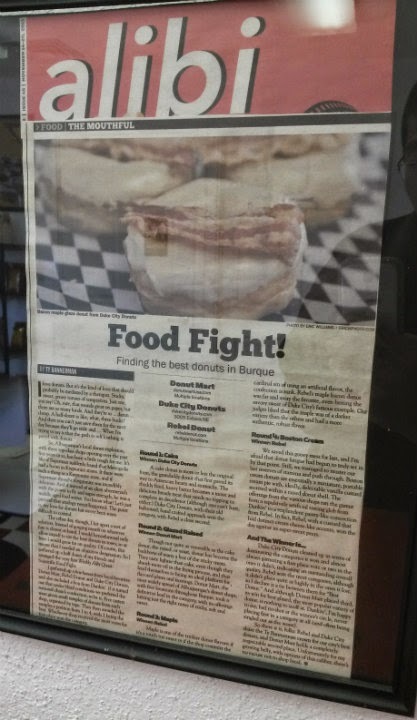 Another award-winning doughnut shop in ABQ. 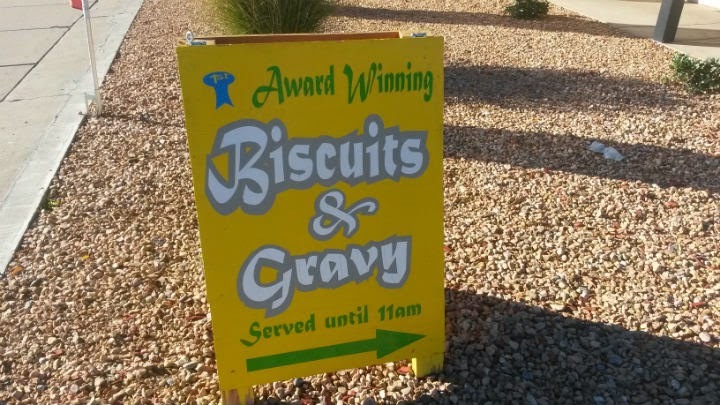 They also serve breakfast burritos and biscuits & gravy. 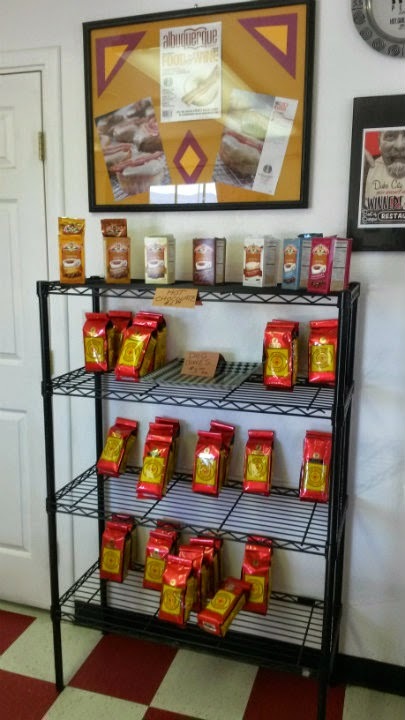 The inside is fairly small, with some vintage items on the walls. 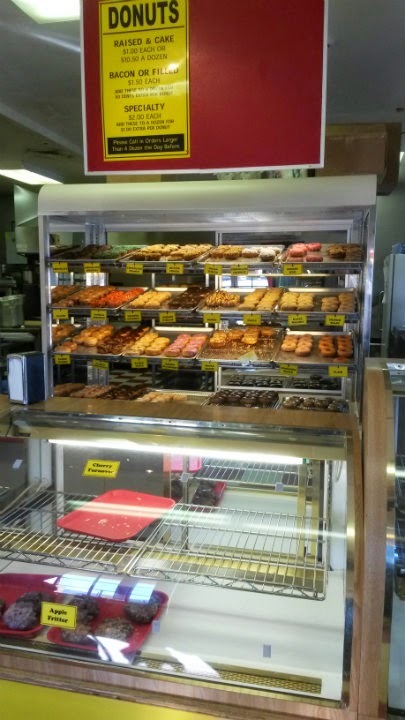 Standard glass cases of doughnuts and brownies. 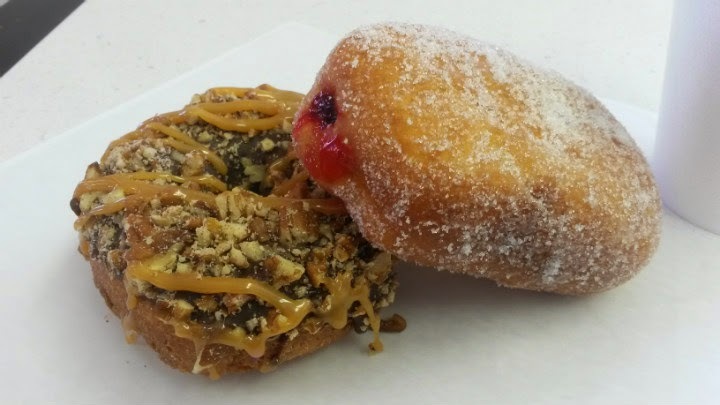 Regular doughnuts are $1.00, while specialty doughnuts are $1.50. 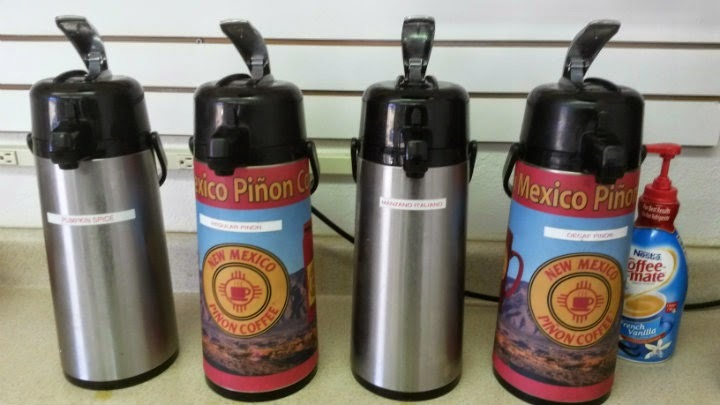 Coffee here is New Mexico Pinon Coffee. 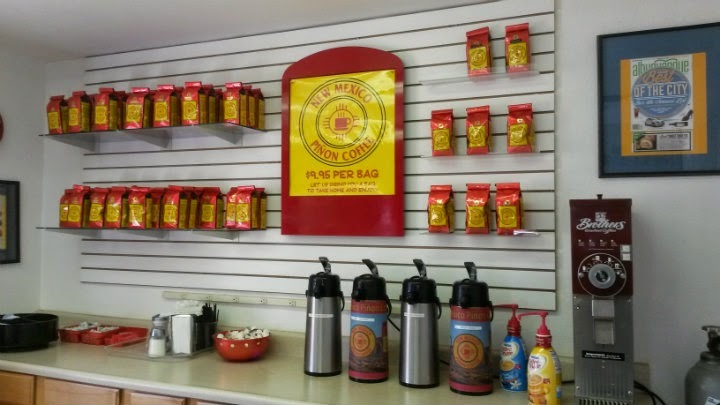 You can find bags of this coffee all over -- even at the Trader Joe's in Vancouver, WA. 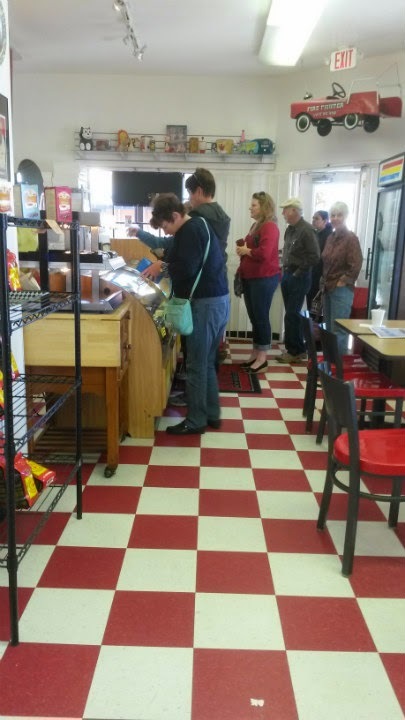 A cup here is $1.69. Magic elixir for the panda soul. 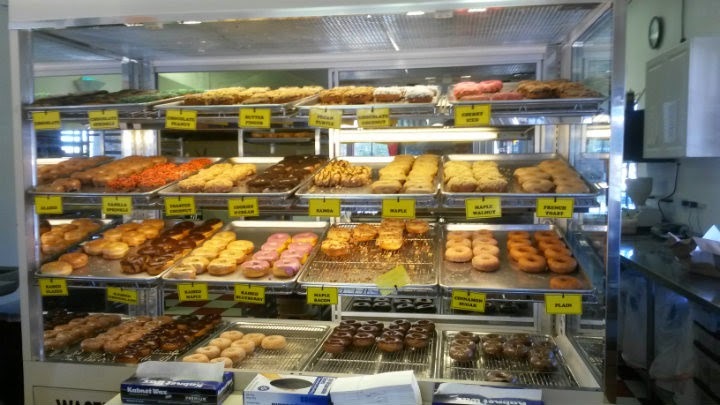 Doughnut time! 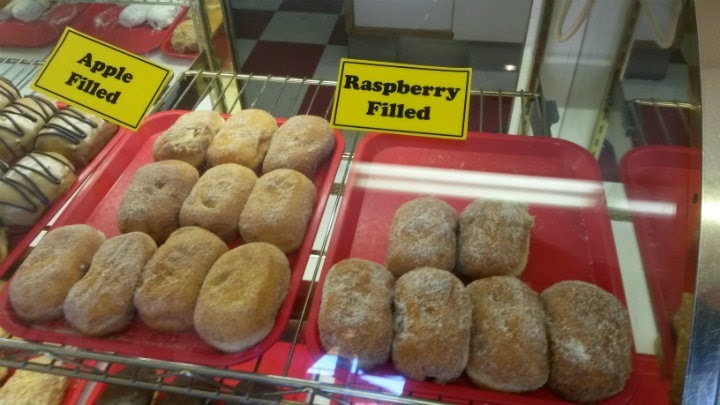 The raspberry-filled doughnut called my name. 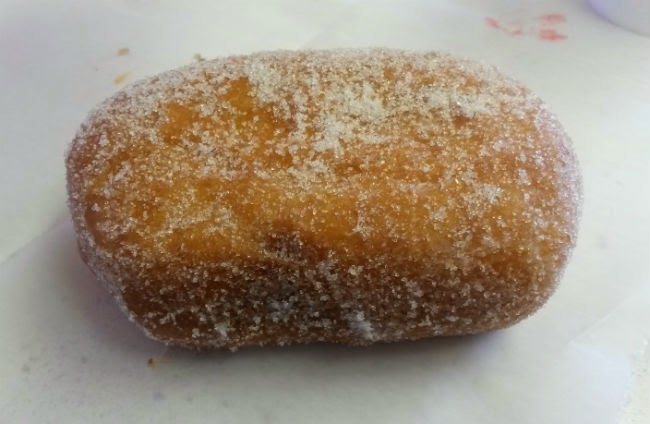 Tons of granulated sugar on the outside reminded me of a malasada (gotta love Hawaii). 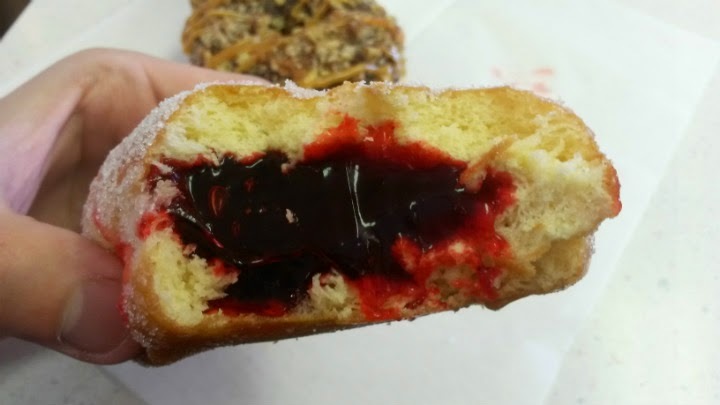 Tons of awesome dark red raspberry filling. 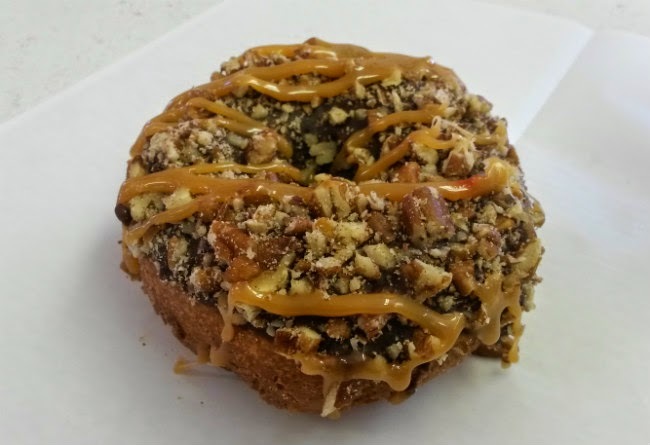 The man behind the counter suggested the Pecan Turtle doughnut, which includes their housemade caramel. 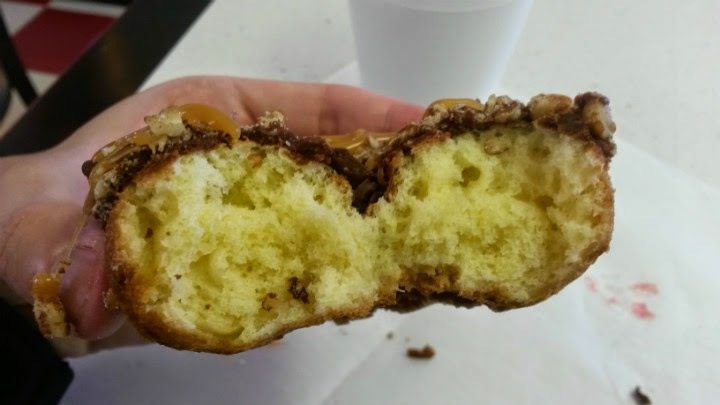 It's a much heavier doughnut in terms of the overall package, as chocolate, pecans, and caramel bombard your mouth and gut. 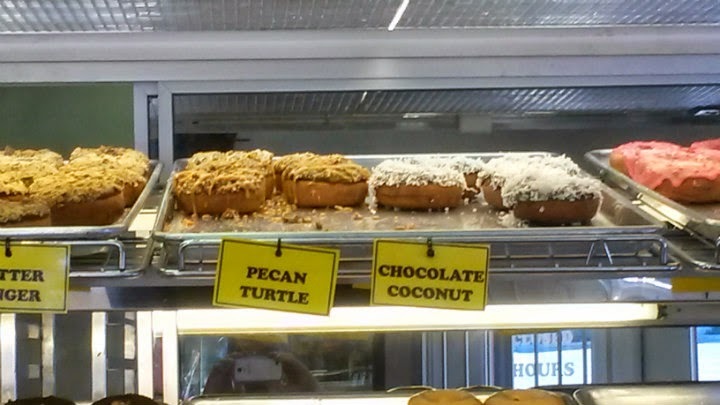 But hey, it's a great choice if you're into those types of toppings. 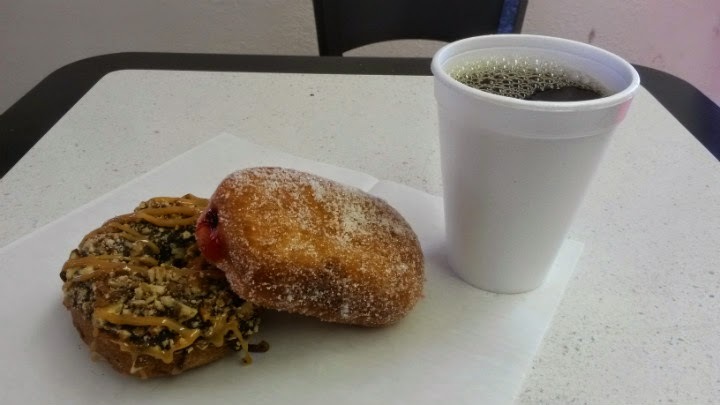 Both doughnuts had wonderful fluffiness, well executed. 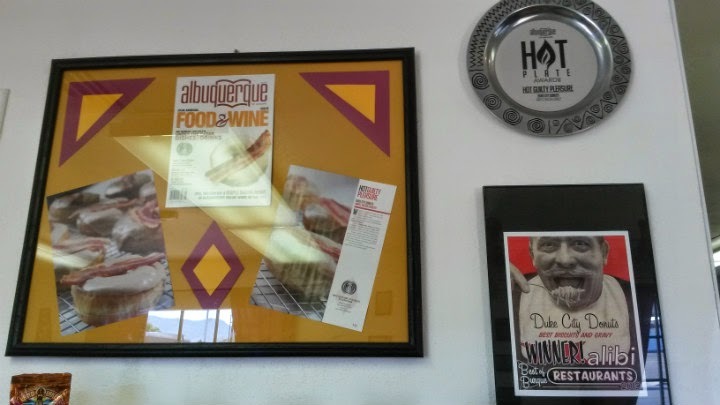 I hoped to see something New Mexican here, perhaps with green chile or red chile powder, but alas, no dice this time. The panda again was fortunate to dodge the rush of people that came in afterwards.